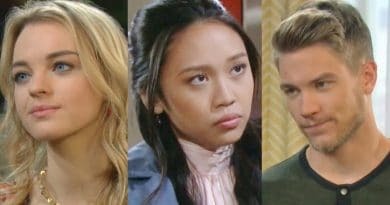 Days of Our Lives spoilers show Tripp Dalton and Haley Chen have a difficult time at their ICE interview. Their faux love story may not sell to the immigration official. 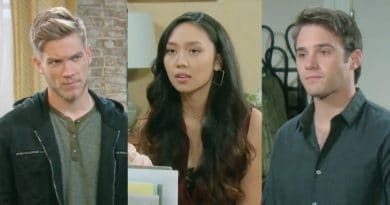 Days of Our Lives spoilers show that Tripp Dalton hides Haley Chen at the loft apartment but neither JJ nor Claire will like this twist. The situation deepens as Tripp may offer more help. ‘Days of Our Lives’ Spoilers: Tripp Finds Evidence Claire Started First Fire? 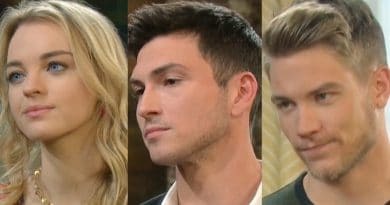 Days of Our Lives spoilers reveal that Tripp Dalton could find evidence that Claire Brady started the first fire that almost killed Ciara. 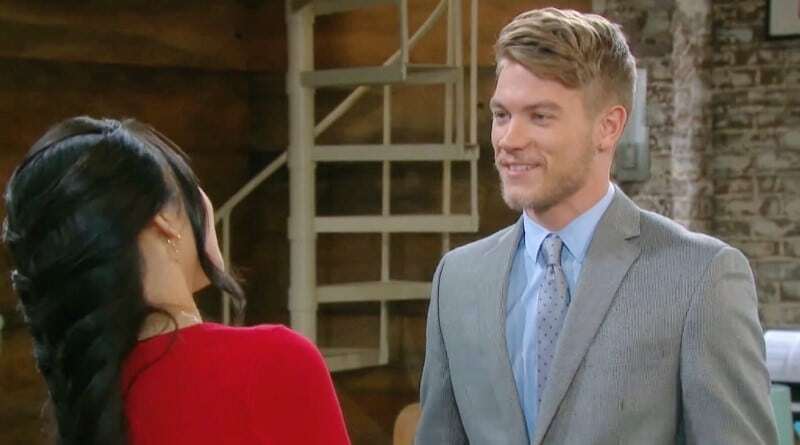 Days of Our Lives spoilers reveal that Claire Brady (Olivia Rose Keegan) finally gets what she wants when she and Tripp Dalton (Lucas Adams) get romantic with each other. 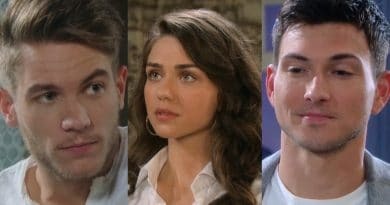 Days of Our Lives spoilers for the week of November 19 reveal that Ben Weston exposes Tripp’s crime to Ciara Brady, which changes everything. ‘Days of Our Lives’ Spoilers: Ben Confronts Tripp and His Dirty Deeds – Game Over ? 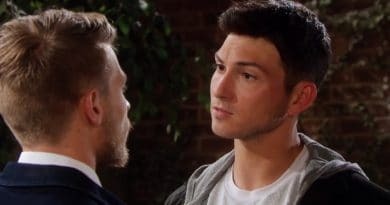 Days of Our Lives spoilers reveal that Ben Weston confronts Tripp Dalton for planting evidence against him. Could Tripp end up in jail? 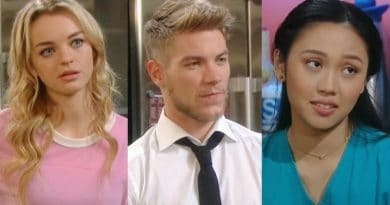 Days of Our Lives spoilers reveal that Claire Brady recruits Wyatt to help cover up Tripp Dalton’s crime against Ben Weston. 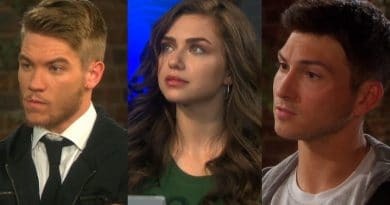 Days of Our Lives spoilers reveal that Ciara Brady and Tripp Dalton break up when she learns that he planted evidence against Ben Weston.